This is part one of a two-part series on the importance of developing and maintaining loyal employees. In part one, we explore why every company should focus on having loyal employees and how doing so contributes to its revenue. Part two offers tips of how to develop loyal employees. When is the last time you heard about employees risking their jobs to stand up for a multi-millionaire? Or going so far as to organize a customer boycott? That was the situation at Demoulas Market Basket Inc. in Massachusetts where an ugly family feud was playing out this summer. 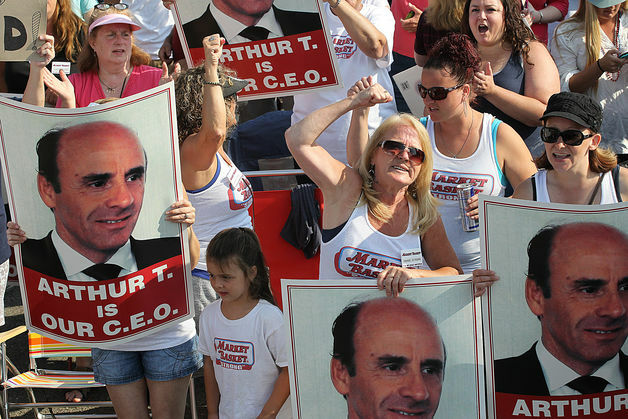 More than 200 office and warehouse workers walked off the job to support their ousted CEO, Arthur T. Demoulas. Artie T., as he is known to the company’s 25,000 employees, owned with other family members 49.5 percent of the supermarket chain. His cousin Arthur S. Demoulas and his family owned the other 50.5 percent and ousted Artie T. in June. The company, founded in 1917, has $4.3 billion in annual sales and family members had been fighting bitterly since 1990 when there was a dispute over the transfer of shares. Lawyers have racked up a lot of fees in the ensuing court battles. Hourly employees risked their jobs and urged customer boycotts for their boss, estimated to be worth around $675 million. Customers responded and boycotted the stores, even taping receipts from rival markets to store windows. Some analysts put the losses at more than $10 million a day. Why? As one employee said in an article covering the feud put it: “We are a family and they messed with our dad,” said Charlene Kalivas, 57, a longtime Market Basket employee. The decades-long family feud ended in August when Artie T. and his sisters agreed to purchase the 50.5 percent of the company owned by the other side of the family. It was a costly, ugly family feud. And the winner was the man who had worked hard to win the devotion and loyalty of his employees. Yet, you don’t hear too much about the need for businesses to retain loyal employees. They focus more on customer retention and spend millions on retaining them. How much do they spend on keeping loyal employees? Do they care? They should. The long-term success of any company depends on finding and retaining qualified employees. For all you hard numbers people, consider this: researchers at the University of Pennsylvania surveyed 3,000 companies and found that if a company invested 10 percent of its revenue on capital improvements, it increased is productivity by 3.9 percent. If it invested the same amount in developing employee capital, its productivity more than doubled, to 8.5 percent. It’s not just because treating your employees fairly is the right thing to do. It’s also the profitable thing to do. Come back for Part Two when I’ll discuss ways to build employee loyalty. This entry was posted in Family Businesses, In the News, Leadership, Lessons for CEOs, Lessons for Success and tagged Arthur S. Demoulas, Arthur T. Demoulas, Demoulas Market Basket, University of Pennsylvania. Bookmark the permalink.